The two-match series between Leinster Bolts and Denmark ended all-square in two excellent encounters. Although rain was never too far away over the two days, both teams willingness to get action saw the matches completed. On Friday, Leinster Bolts ran up 267 in a game which started off as a 50-over contest. Rush opener Stephen Doheny top-scored with 74, hitting 7 fours and 2 sixes in his 89-ball innings. He shared a third wicket stand of 135 in 25 overs with Pembroke's Lorcan Tucker, who hit 7 boundaries in his 59. Three wickets apiece for Matts Henriksen and Nico Damgaard saw Leinster slump from 151 for 2 to 191 for 8, before they rallied thanks to a 9th wicket stand of 54 between Fiachra Tucker and Rory Anders. The two former Irish U19 internationals helped their team set a challenging total with the late fightback, as Tucker made 37 and Anders 31. With heavy rain ending play at the half-way stage, the teams agreed to an early start on the Saturday, with the hosts chasing a DLS adjusted target of 152 in 20 overs. They fell 22 short thanks to an inspired bowling performance by Fionn Hand. The North County teenager took 5 for 23 to restrict the Danes to 129 for 8 - Mats Henriksen (37*) and Manmeet Singh (36) their main contributors. 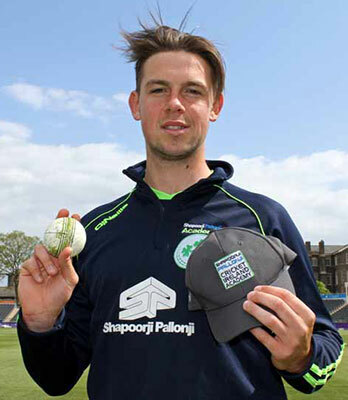 Merrion's Tom Stanton (2-28) and Malahide's James Newland (1-11) were the other successful bowlers. The second game was a 45-over contest, and Leinster opener Gareth Delany came racing out of the blocks, as he thumped 4 sixes and 3 fours in a rapid 54 from just 37 balls. He dominated an opening stand of 72 in just 57 balls with Conor Fletcher (8), before the introduction of Jini Jojo brought a dramatic turnaround. The Bolts lost three wickets for 0 runs, with Jonjo (3-27) causing major damage. At 97 for 5, the visitors once again showed their strength in depth, as the middle and lower order set a target. Lorcan Tucker (30), Fionn Hand (24*), Fiachra Tucker (23) and Stephen Doheny (22) all chipped in to a final total of 202. James Newland (3-22) struck early blows, but Freddie Klokker showed all his experience to guide the successful chase. Klokker - who played in 2017 for The Hills - hit nine boundaries in a brilliant 94, as he shared partnerships of 84 with Anique Uddin (29) and 69 with Saif Ahmed (32*) to guide the Dames to a deserved six-wicket win. 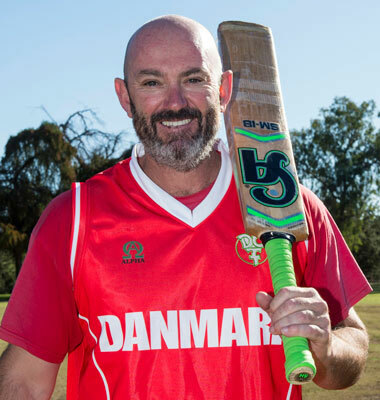 Denmark coach Jeremy Bray was delighted with the tough matches for his team ahead of the World Cricket League in Oman in November. "It was absolutely fantastic to have Leinster send over a strong Bolts side. "Our guys thoroughly enjoyed the two days of very competitive cricket in sometimes testing conditions weather wise. "The Leinster squad both players and management alike were absolutely fantastic guests to host and a big credit must go to them. "I hope this relationship can continue between the two sides, and there are more series in the future." 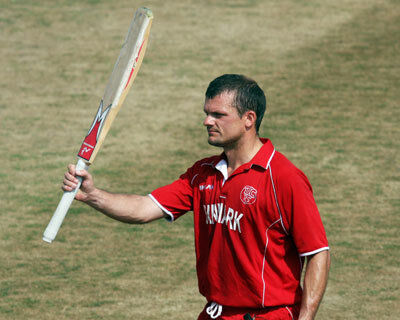 Comment Rain affected: Denmark target 152 to win in 20 overs.